Again I’ve used a collage of fabrics as the background but this time applied image transfers of multiplication tables and deployed a gold Shiva stick over the top. As usual, a lot of hand stitching – don’t seem to be able to stop that! 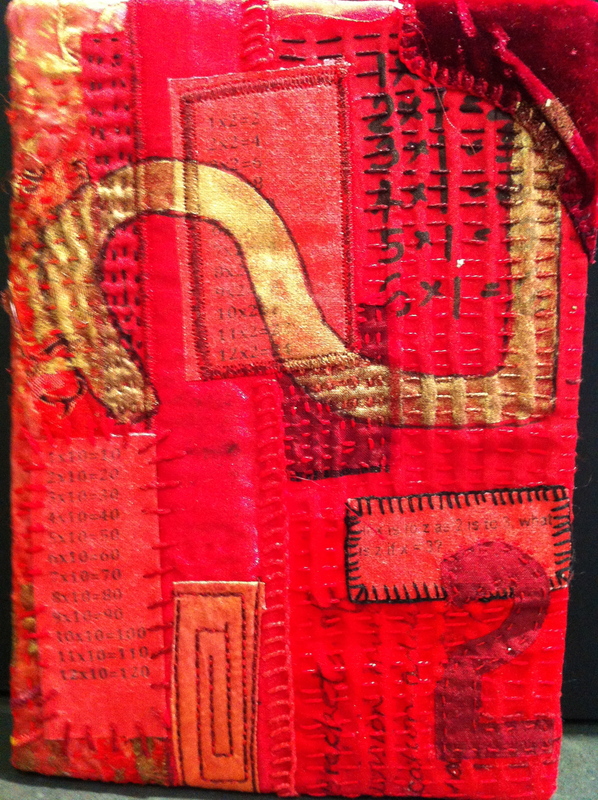 This entry was posted in fabric collage, Hand embroidery, paint, print transfer and tagged collage, hand stitching, image transfers. Bookmark the permalink. Crikey Maragaret – you’re so prolific! How did you do the image transfers? Just created a document and printed it onto fabric then chopped it up!